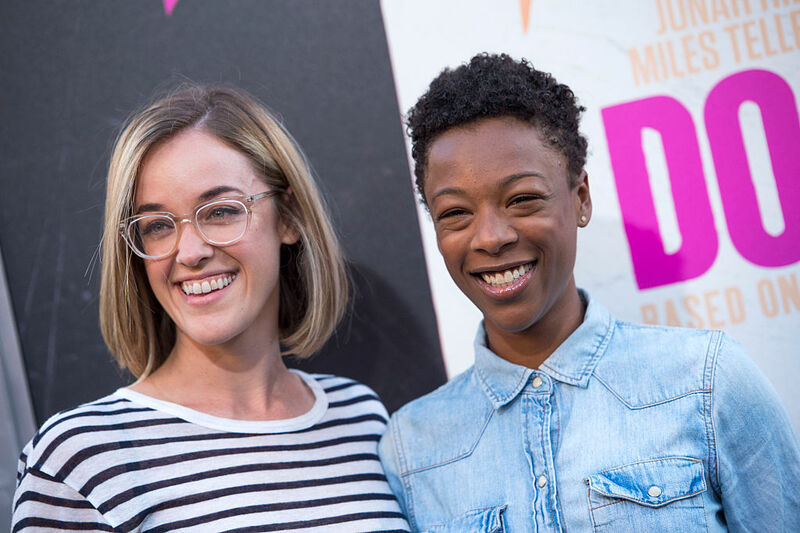 Samira Wiley’s Orange is the New Black character Poussey was recently the subject of some major news for the series, but now Wiley herself shared some much, much happier news: she is now engaged to series writer Lauren Morelli. You may remember Morelli for making headlines during the show’s first season, but we’re here to jog your memory. Here’s everything you need to know about the writer and newly betrothed. 1. When Morelli began writing for OITNB, she was married to television writer Steve Basilone. 2. OITNB was her first professional writing job. 3. She started working in the (soon to be) hit show’s writers room five months after her wedding. 4. Morelli had never previously considered the fact that she might be a lesbian. 6. By the time the writers had completed Season 2, Morelli had come out to her family, friends, and most of her readers. 7. Shortly thereafter, she began divorce proceedings from her husband on amicable terms. The two are still friendly. 8. Moretti fell in love with Wiley on the set. 9. She wrote an essay for Mic.com about coming out that went viral. 10. She got her love a gorgeous engagement ring. Look at that thing! Congrats to the couple. They’re so, so rad.